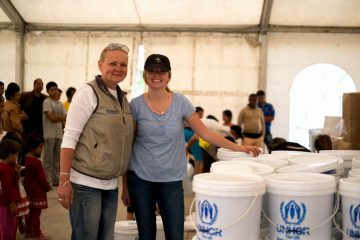 Simple meals distributed by Samaritan’s Purse and other organisations have often been the only source of sustenance for refugee families. Throughout the camps children cradle an apple each and a baguette or some other simple meal, carefully clutching the day’s first food, which they’ll eat in a tent they’ve called home for weeks or longer. 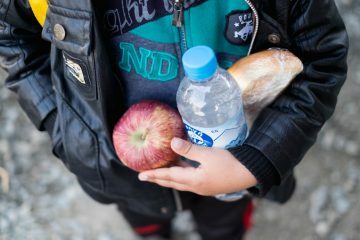 Without the help of Samaritan’s Purse and other relief organisations, many Iraqi and Syrian refugees would have little hope of finding suitable food, water, sanitation, or shelter. 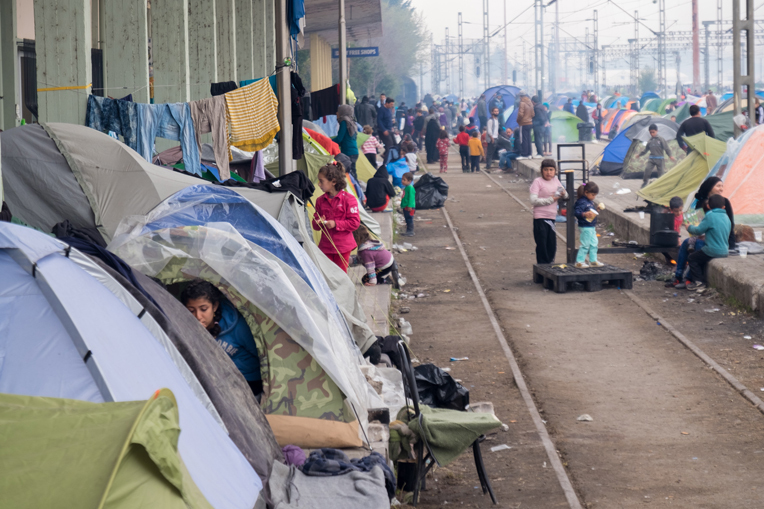 About 60 percent of the refugees in Greece are women and children. In addition, we are spearheading a multi-agency non-food item distribution in 30 sites across northern, central, and southern Greece where the majority of refugees are now stranded. Samaritan’s Purse also maintains a strong presence on the islands of Lesbos, Chios, Samos, Leros, and Kos. In support of the Greek authorities, these teams continue to serve arriving people and those in detention centres. Whether moving or waiting, refugees are on a restless journey to find a new home and life. 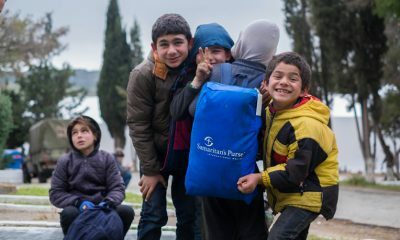 This gives Samaritan’s Purse an amazing opportunity to build relationships and share the Gospel at Meeting Place tents set up along the path in Greece and beyond. At these stops refugees can come and sit with a cup of tea, charge their mobile phones, and prepare for whatever comes next. Our teams strike up conversations with them and tell them about God’s unending love in Christ.